Bedrooms: n/a "25 Hotel Suites"
Fully Titled, Beach Front property land with Dramatic Ocean Views. Hotel consists of 25 rooms, with very popular and active Sports Bar & Restaurant. 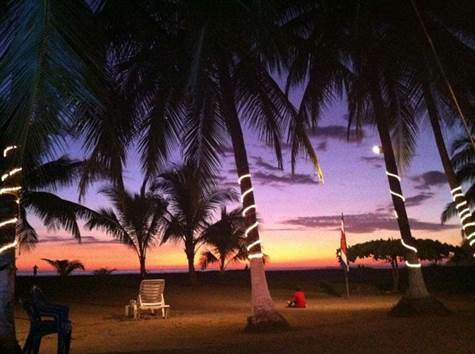 Ideally located in hottest beach front area of Jaco. In front of the New Jaco Board walk. This is in addition to the access from the beach road in front of the hotel. Prime location for future construction of a Flagged Hotel, Casino or Condominium project. Buy this profitable property now, and generate substantial cash flow - then realize the full development potential - suitable for many different options.